John owns a 1970 Dodge Charger in one of the “high impact” colors from that year, called Plum Crazy. It’s a car that John bought when he was younger and kept through the years, and eventually restored. One day during the winter months, which is the off-season for collector cars where John lives, there was a fire in his garage where he kept the Charger. The car sustained significant damage, and there was fire damage to his house as well. Luckily there were no injuries to people or pets, and there was enough left of the car that it could be restored. The fire marshall determined that the fire started with an electric device that was attached to the car, but no actual cause could be determined, because the electric device was burned too badly. It turns out that the electric device was a battery maintainer (sometimes called a trickle charger) that somehow caught on fire. Because the device was close to the car, and the car and the device were close to the garage walls that are attached to the house, the fire quickly spread and resulted in significant damages. 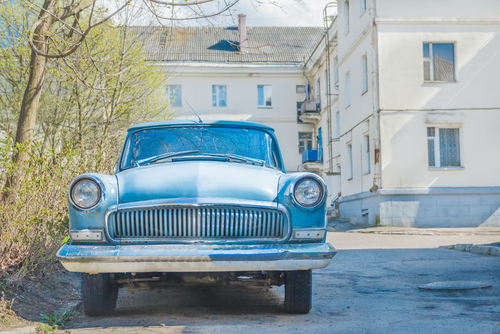 John’s homeowner’s policy covered the damage to his home, and his collector car insurance covered the agreed value of the vehicle. John is in the course of restoring the vehicle back to its original purple glory, but he knows that the fire situation could have been much worse. He’s also aware that preventing this type of situation in the future is better than just hoping that it doesn’t happen again. 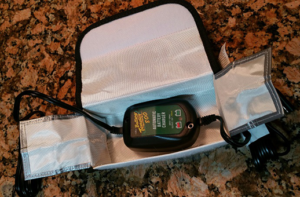 Many of us use battery maintainers when we don’t drive our collector cars for lengthy periods of time, but few of us knew that the battery maintainers could be a potential problem unless we take a few prevention steps. 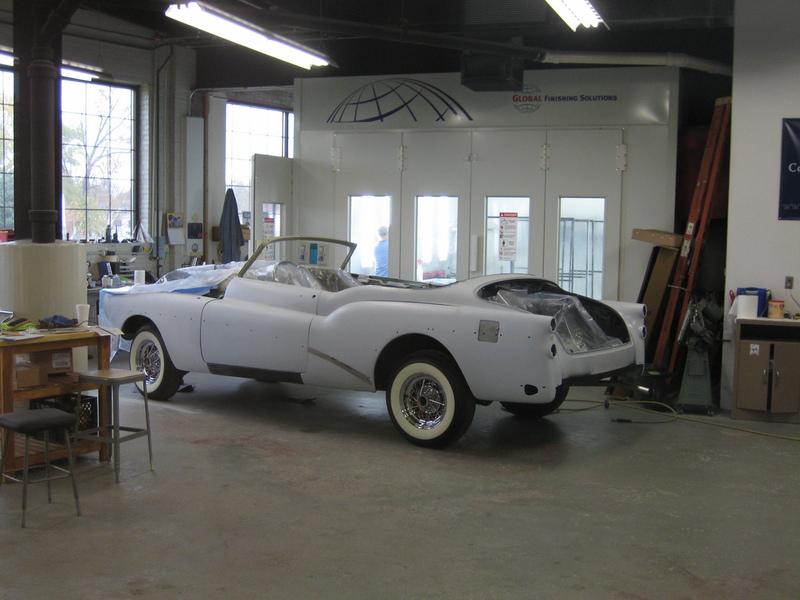 We recently visited with a large and well-respected auto restoration shop which deals with a lot of very expensive vehicles. The owner of the shop told us that he had three clients over the past year who had fires, much like the fire that John had with his 1970 Charger, all due to the battery maintainers. Those clients of the shop sustained significant damage to their vehicles and homes. One of the clients had some extensive investigation done to determine the exact cause of the fire, and it was found that the battery maintainer had caught on fire because of a power surge. Apparently, power surges could cause a battery maintainer to catch on fire. The shop has over a hundred battery maintainers, and they unplug each of them every night, and plug them back in every morning, under the fear that a fire could occur overnight when nobody is at the shop. We’ve heard these things before from others, so it’s time we found a method of prevention. Since the issue of a power surge seems to be a possible trigger for fires with battery maintainers, we recommend that everyone using a battery maintainer consider having it plugged into a surge protector, which are readily available as small single units or multi-unit power strips. We know that different surge protectors are not all equivalent, and some can handle larger power surges. If a power surge is powerful enough it might cause the surge protector to fail, and the power surge would then get to the battery maintainer, potentially causing a fire. So, although surge protectors are inexpensive, you should consider getting one that has high power protection ratings. Often the ratings are in joules. A rating of 600 joules is good, but a rating of 1,000 joules (or higher) is better. The next thing to consider using is a fire-resistant bag/box for the battery maintainer to sit in when it’s in use. Those items are flexible fire-resistant fold-up boxes that are available in different sizes, so you can find them to fit whatever size battery maintainers that you’re using. The fire-resistant boxes are sometimes described as “fire proof”, but almost nothing is actually fire proof, so we’ll refer them as “fire resistant”. The ones we’re describing are intended for use when charging or transporting LIPO batteries (used in certain remote-control toys) which are known to sometimes catch fire, so these boxes should be useful for containing any fire that originates at the battery maintainer. 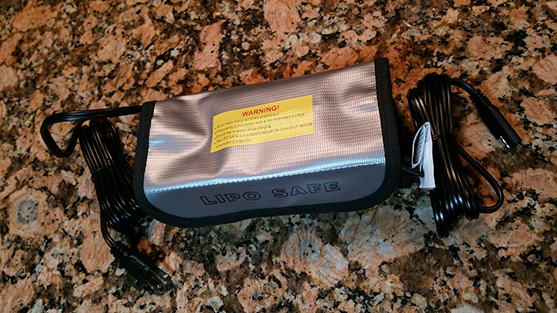 If you use the search words “LIPO Safe” in one of the large global online retailers, such as the one that’s named after a big river in South America, you’ll find lots of the fire-resistant boxes in different sizes, for fairly inexpensive prices. We bought several sizes, and the average price was around $5 each. Try to avoid the boxes that have only one layer of fire resistant material. Instead, you want to buy the ones that have a double layer of fire resistant material, because those will better contain a fire, and are less likely to have a burn-through. The battery maintainer should be completely inside the fire-resistant box, and the cords can go out any of the sides. Most of the fire-resistant boxes have Velcro closures, but the boxes are not air tight, so there is ventilation, but generally not enough for a fire to burn as it might without this extra protection. 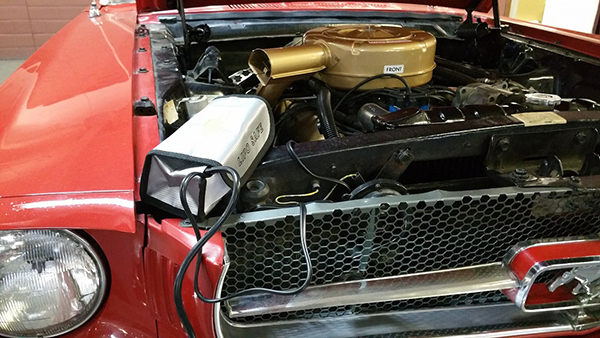 Although some of our photos show the use of a battery maintainer under the hood of our classic Mustang, it would be best for you to have the battery maintainer at some distance away from your vehicle. You should also keep it away from anything potentially flammable in your garage (such as the walls) to minimize the potential risk of damage if a fire occurs, regardless of whether you’re utilizing a fire-resistant box. The fire-resistant boxes will help slow the fire, and keep the fire contained, but remember that the fire-resistant boxes are really only “fire-resistant”, and not “fire proof”. Since 1967, we have been helping our customers protect their classics with affordable, industry-leading insurance coverage. We know that preparing for an approaching storm can be stressful, and we want to remind you of some steps you can take if your vehicle is damaged or exposed to flooding. Don’t wait for the adjuster to arrive. In a catastrophe, it may be days until an adjuster arrives due to the concentrated work load in the affected areas. By taking the following 10 steps, you will in no way jeopardize your claim, and you will set the stage for a better outcome once the claim is established. 1. Mechanical systems and the interior can be dried out and cleaned. 2. Take pictures to establish visual damage and the high water mark. worse condition. You will still want to. cleaning areas that are most critical. shop vac to pull out the water and then use fans to help dry. engine, transmission or fuel system, you’ll just compound the damage. any connections you have access to. you may need to have it cleaned professionally. Remember, these suggestions are just the basics and are designed to keep the most parts of your collector car protected from the most serious damage in the initial hours after a flood. They also set the stage for a successful clean up by professionals. Introduced in 1949, the American muscle car is defined by its lightweight body and powerful engine. These vehicles consistently dominated street and NASCAR racing, and the industry itself took off in the 1950s. In 1955, Chevrolet released the small block-V8, whose engine became a GM corporate standard for over 50 years. Then in 1964, the “Golden Age” of muscle cars began with the introduction of the Ford Mustang and Pontiac Tempest GTO. The classic Ford Mustang even gave birth to a new market for “pony cars,” which look similar to muscle cars but have significantly less power. By 1975, governmental safety regulations, an international oil crisis, and high insurance costs led to the muscle car’s downfall. The cost of these vehicles rose dramatically, and Americans began purchasing small compact cars instead. 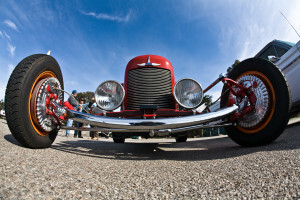 However, collector car enthusiasts remain attached to their classic muscle cars. Many of these enthusiasts consider Pontiac GTOs (“Goats”) to be the first muscle cars. The GTO became its own series in 1966, and in 1967 the 400 HO option with Ram Air induction became the top Pontiac performer. Of the 82,000 GTOs sold in 1967, 13,827 had the 400 HO option and Ram Air was installed on only 751. 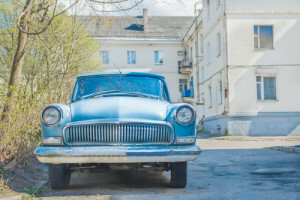 Pontiac’s classic muscle cars are often detected by their split grill front-end design, which remains one of the most recognizable features in the industry. One classic muscle car that is particularly valuable is the 1966 Chevrolet Chevelle SS 396s with L78 engine option. Only 100 were produced, making it a rare find for collectors of Chevy classic muscle cars. The Chevelle is distinguished by its classic forward-thrusting front fenders, and the “Super Sport” version includes special wheel covers, red-line tires, and a black-out grill to emphasize the SS badging. Its L78 engine allowed the Chevelle to go 0-60mph in only 6.5 seconds! Another rare find is Ford’s Mustang Boss 429. This classic model was designed in compliance with NASCAR regulations—with less than 1,400 units produced between 1969 and 1970. Though it did not have the most distinctive appearance or the strongest horsepower, the Boss 429 was praised for being practically hand-built. This is because its engine could not fit smoothly within a standard Mustang, and required extensive modification. These are only a few examples of the classic muscle cars still collected today, and at Condon Skelly we share your passion for these powerful vehicles. We’re a group of collectors, enthusiasts, and professionals who specialize in providing complete insurance for all types of collector and custom vehicles—even a specific line of muscle car insurance! We will help you secure affordable, industry-leading specialty car insurance coverage to protect your classic, antique, or exotic vehicles. For more information, contact us today at (866) 291-5694.